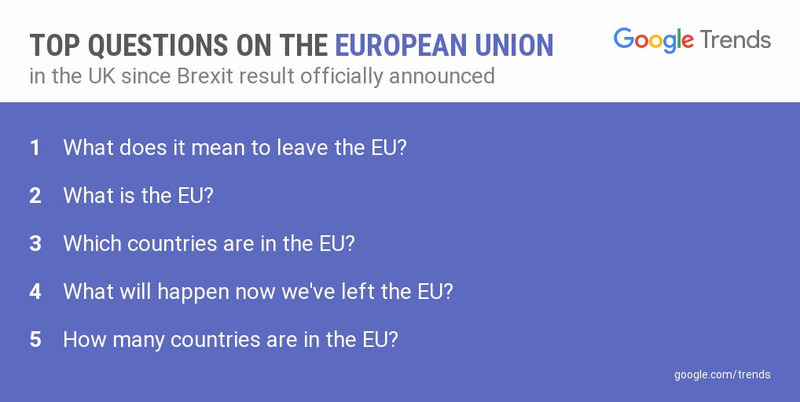 Britain voted to leave the European Union on Thursday, via a referendum that came down to the wire. The turnout was a staggering 72.2% out of a possible 46,499,537 people who were entitled to take part in the vote. It is a record number for a poll in the United Kingdom. 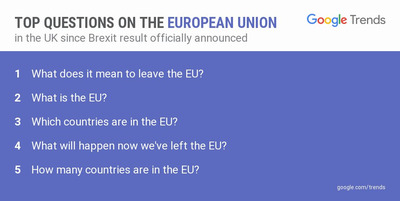 But, if a Google Trends analysis from Friday morning is to be believed, a distinct portion of people didn’t know what the EU is or what leaving it would mean for the UK.